The story of the Buller family’s involvement with the wine industry starts in the 1920s and the uncertain times following the end of the First World War. 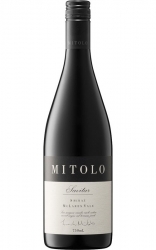 In 1921 Reg Buller spent six months working (for 8 shillings a day) at the Mildura Winery and with that experience behind him, started looking for a vineyard. The property he settled on, “against lots of well meaning advice”, was 170 acres at Rutherglen. He called the property ‘Calliope’ after the ship of that name which was the only survivor of the Great Hurricane at Samoa in 1889. A.B. (Banjo) Patterson’s Ballad of the Calliope tells the tale in stirring fashion. Reg’s vision of his new enterprise successfully sailing through the tempests of business and agricultural life proved prophetic. The first storm to beset Calliope came in the form of hail, which completely wiped out his second vintage. The Calliope enterprise managed to keep afloat however and even managed to sail through the Great Depression and by the end of the decade of the 1930s had started to prosper. Reg Buller put his ambitions on hold and rejoined the Navy for the duration of World War 2 but by 1951 he was looking for a new challenge. Leaving his son Richard (who had graduated in Oenology at Roseworthy Agricultural College) in charge at Calliope, Reg bought a second vineyard and built a new winery. The location of this new venture was at Beverford near Swan Hill, some 350 kilometres west of Rutherglen. Reg’s idea was to ‘drought-proof’ his business by taking advantage of irrigation, which was not available at Rutherglen. Reg Buller retired to Melbourne in 1966. Richard, now married to Val and with three sons, oversaw substantial growth of the business and its two wineries. Australia was discovering wine and its thirst seemed insatiable. Wine tastes were changing also – table wines were king and the wonderful fortified wines that the industry had relied on in the past were taking the back seat. Richard Buller, big in stature but essentially retiring by nature, became one of the leaders of the burgeoning wine industry. He was a judge at the Royal Melbourne Show for twenty years and saw the advent of wine tourism and the newly popular cellar door sales phenomenon. In 1974, Richard’s eldest son, also named Richard, who had been learning the business under his father’s tutelage, took up residence at Beverford eventually becoming winemaker manager. A year later Andrew, youngest of the family, completed his studies at Roseworthy and joined his father at Rutherglen. Richard senior died suddenly at Berri in South Australia while visiting his middle son Graham in 1997. Since that time the business has been run as a family company with Val, Richard junior and Andrew as the principals. Richard concentrates on the Beverford side of the operation while Andrew oversees Rutherglen. A fourth generation of Bullers has joined the company with Richard’s three children, Kate, Angela and another Richard fulfilling various roles in both the making and marketing of the company’s products. The possibility of a fifth generation is on the horizon with the arrival of Kate’s son. Young Rippon is now a regular at the Melbourne office. In 2008 the company’s head office moved to Melbourne which is its biggest domestic market. A sales team is based in Victoria and agency arrangements are in place for the other Australian states. Export markets are playing an increasing role in the continued progress of Buller Wines, the trading name of R.L.Buller & Son. The Buller Story continues. Rutherglen is situated in North Eastern Victoria approximately 5km. from the Murray River and 42km. by road from the twin cities of Albury and Wodonga. Wine grapes have been grown in the district since the 1850’s, initially in response to the demand from the goldfields. Bullers’ ‘Calliope’ vineyard can be found 4km. west of the township of Rutherglen, 1km. south of the Murray Valley Highway. The vineyard is 32ha, and includes old vines dating back to 1921. GRAPE VARIETIES GROWN – Shiraz, Mondeuse, Muscat, Tokay (Muscadelle), White Frontignac, Red Frontignac, Cinsaut, Grenache, Pedro, Chasselas. CLIMATE – Hot, continental, very sunny, moderately arid, not humid. Rainfall – average 583mm, just over half of which (56%) falls between April and September. Temperature range 10C – to 35C would be considered normal. Mean January Temperature (MJT) 22.7C (similar to the Barossa Valley). ELEVATION – 150m. TOPOGRAPHY – Alluvial flats with gentle slopes. SOILS – Hard red duplex overlaying yellow-grey clay. Beverford is a sleepy hamlet on the Murray Valley Highway in Northern Victoria and is part of the winegrowing region of Swan Hill. The district produces a wide range of fruits including citrus, stone fruits, dried fruit, table and wine grapes. The climate and soils of Beverford provide a favourable environment for growing wine grapes. Abundant sunshine and sufficient water ensure viable crops. The critical autumn ripening period is normally dry, allowing the grapes to come to the winery in good condition and free of disease. 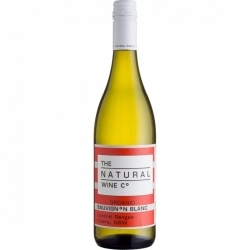 The company has 22 ha of vineyards and in addition purchases grapes from growers in the area. GRAPE VARIETIES GROWN — Shiraz, Cabernet Sauvignon, Crouchen, Pedro Ximenez. Rainfall — Average 345mm occurring mainly during winter months. Temperature range — 10C - 40C. Mean January Temperature (MJT) 23.5C. ELEVATION — 70m. TOPOGRAPHY — Alluvial flats giving way to undulating sandhills. SOILS — range from grey alluvial loams to sandy loam over limestone (3 vineyard sites). 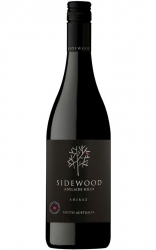 The family planted vineyard on the outskirts of Rutherglen produces fruit dark in colour and rich in flavour giving Richard Buller the perfect base to create this traditional style of Shiraz. Buller produces an array of wines under a number of different labels ranging from delicate moscato to rich Shiraz and spicy layered fortifieds. A full list of the wines can be found on Bullers Website. Buller has two cellar doors, the first located in Rutherglen, with the second at Beverford in the Swan Hill region. 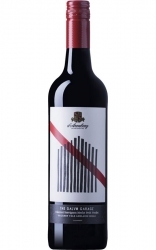 Buller Wines are available throughout Australia and can be purchased directly through their Cellar Door or Online. Buller produce a varied and unique set of wines that speak volumes of their vineyard locations, and Buller's rich winemaking heritage. 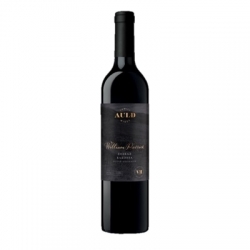 Buller offer wines at every price point, with a number of wines representing exceptional value for money.